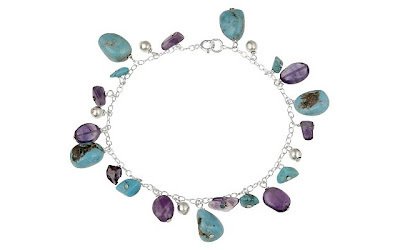 This Sterling Silver Bracelet with Turquoise, Amethyst and Sterling Silver Bead Drops, 7.5" is currently selling for just $38.00 on Amazon.com! You will be saving 70% off the listed price of $128.00 with this jewelry deal. More coordinating amethyst and turquoise jewelry on sale . . .